In recent months, there has been a steady stream of race-related incidents involving law enforcement officers. Whether officer involved shootings, violent arrests or their presence being required by a citizen whose own existence is threatened by the presence of black bodies. 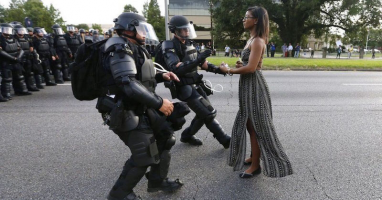 These situations contribute to the growing narrative of tension and discord centered on the issue of race. Yet, for many, there remains a rejection of a systemic problem. The reluctance to see the cascade of negative videos—demonstrating the horrific experiences of blacks interacting with law enforcement—as anything more than isolated events is a logical fallacy. While the events may be isolated, they are a part of broader culture filled with policies and procedures that do not proactively prevent these situations from happening. It is fair to question the administrative practices of any agency where unconscious bias can have catastrophic effects. In much the same way, when law enforcement is weaponized against the citizenry by other citizens, it further erodes the system. Two prominent examples of how law enforcement has been used by citizens against black bodies include the arrest of two black men in a Philadelphia Starbucks and law enforcement being called on a black student napping in a common area at Yale. The fact law enforcement was called to interact with these individuals—who were conducting themselves as many other citizens do—contributes a growing concern that the experience of black people in the U.S. differs than other racial and ethnic groups. While working towards social equity seeks to apply justice and fairness to social policy, racial equity specifically addresses structuring life chances to create equality of opportunity for disadvantaged racial and ethnic groups. Race brings with it the powerful issue of racism, which is a socially constructed system of oppression that brings with it division, disadvantage and discord. To that end, the following list provides examples of public sector entities working to promote social and racial equity. Association, American Civil Liberties Union, Black Lives Matter, Youth Justice Coalition and others. The Bill calls for transparency and mandates public disclosure of records related to the use of force, serious and confirmed misconduct, or dishonesty. As a result, the public would know the records of officers who have been involved in police shootings or deadly use of force. In order to affect change, public accountability is necessary and proper. The ASPA Code of Ethics causes us to think deeply about individual rights and freedoms and how those are infringed upon in the delivery of public services. Even more fundamental is the need to support affirmative action and other initiatives that reduce unfairness, injustice and inequalities. These efforts should be pursued within the bounds of the law. As such, public sector personnel should carefully consider strategies and systems that demonstrate an acknowledgement of inequalities and develop innovative solutions to achieve equity. Exemplar: Following four officer involved shootings in Salinas, CA (2014), prominent city officials joined Government Alliance on Race & Equity (GARE), a national network of government entities working to achieve racial equity. The City of Salinas is now engaged in trainings, community engagement efforts, and project development. In partnership with Building Healthy Communities, East Salinas, these targeted initiatives were introduced to reduce police interactions with citizens and improve the overall conditions of communities. Public institutions across the country are recognizing the need to engage in anti-racism work. As a first step, leaders must be willing to openly acknowledge institutional racism exists, fully admitting the existence of systems that unfairly advantage some while unfairly disadvantaging others. 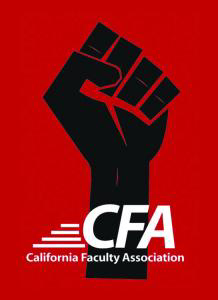 Exemplar: The California Faculty Association (CFA) is being explicit in their efforts to engage in anti-racism and social justice work. The group began by changing their bylaws, training their leaders and deliberately developing a culture where racism can be called out and purposely addressed. Under 10 Guiding Principles developed in 2015, the group is working to become more inclusive as a union and in employment work. Great article. I believe the way ABC handled the latest incident with Roseanne Barr demonstrated a commitment to put down and/or address racist comments or ideologies that are trying to creep back into the mainstream. I say “back” because it really wasn’t that long ago when African-Americans and other ethnic groups in this country were mocked and insulted on almost a daily basis in the mainstream media; in academia; in entertainment; etc. We’re living in a weird time right now – it’s like one day it’s 2018 and the next, it’s 1958 or ’38 or ’28. I just hope that we finally get it right one day – I’m getting a little weary.